Introducing the interactive Little World series from Ladybird that makes our big world little. Little World is designed for curious toddlers, allowing them to explore familiar landscapes and faraway places, from cities and jungles to outer space and the ocean depths. 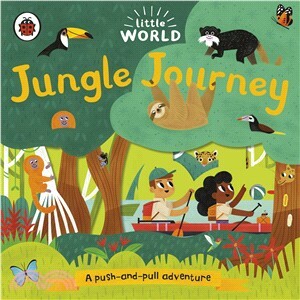 The gentle narrative is perfect for reading aloud, guiding children on their adventure as they venture further into the jungle. A novelty slide, push or pull on every spread also helps children to engage and explore. Allison Black's bright artwork and charming characters encourage interaction and play, with lots to spot, see and enjoy on every spread. This series has been created in collaboration with subject experts, to produce an accurate representation of the world around us and provide a perfectly designed Little World. ... with many more to come!